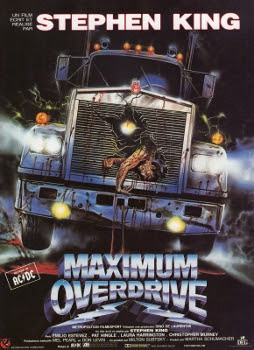 Maximum Overdrive was released on July 25th, 1986. Filming locations include Leland and Wilmington, NC. NOTE: The building was demolished in 2008. I found the location at the end of the movie where they all run behind a diner and deke shoots the sign that says "Humans here" here are the gps coordinates. 34°06'51.7"N 77°54'03.3"W and also i believe this is the place where they filmed the marina scene. 34°04'39.6"N 77°53'20.0"W its called Carolina Beach Inlet. Thank you Anonymous, I'll look into that. 2325 Shirley Drive is where the lawn mower scene takes place and boy is hiding behind the scrubs. I almost bought that house this past year. What's hilarious is if you look at that house on google street view, and turn around, there is a semi parked across from it. The house where the boy hides behind the tree looks like aa house on McMillan drive. Can anyone validate thi?